Former (and I suppose sort of current) NFL quarterback Mark Sanchez will be suspended for the first four games of the 2018-19 NFL season after testing positive for a banned performance-enhancing substance. Sanchez announced the news himself on Instagram, claiming that he was “blind-sided by the news.” Fans probably were too, since Sanchez didn’t throw a pass last season in his role as the Bears’ third-stringer. He also said the positive test was probably due to some sort of contamination. 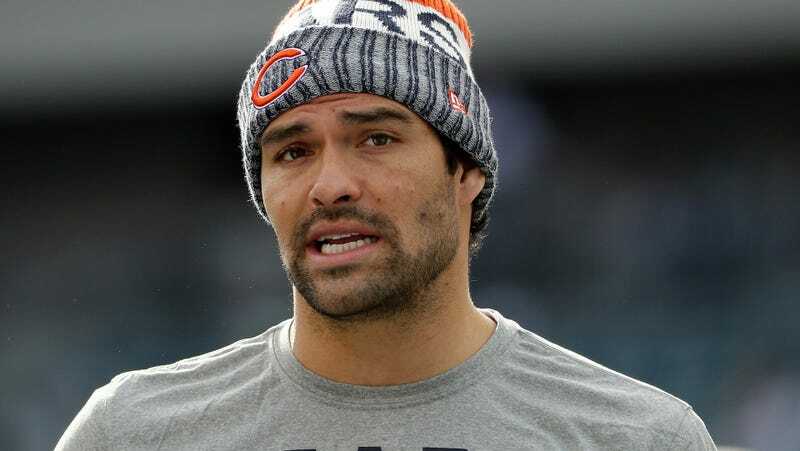 So, if you’re an NFL team who wants to sign Mark Sanchez as a free agent for, say, veteran leadership or deep backup duties, you’ll have to wait until Week 5 for him to return. Surely this will change dozens of teams’ plans.